This statistic depicts the results of an opinion poll on abortion carried out in Argentina in March 2018. 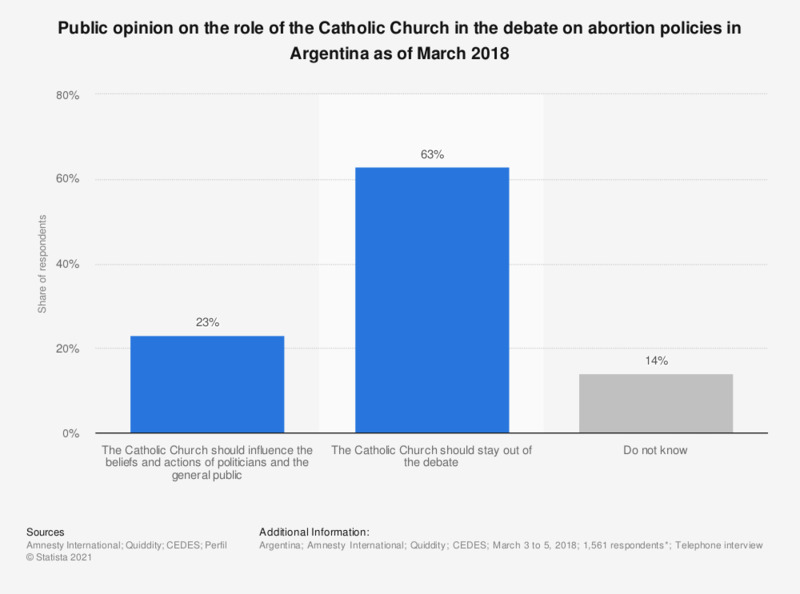 During the survey, 63 percent of respondents stated that the Catholic Church should stay out of the debate on abortion policies in Argentina. * The source does not specify the age of respondents. The original question posed during the survey was: "Respecto a la posición de la Iglesia: ¿Usted considera que debe tener influencia/injerencia sobre la política en torno al aborto, es decir sobre lo que hacen y piensan los gobernantes, e individuos, o debería mantenerse al margen?"